On September 27, co-sponsored by the Chinese cultural, educational and sporting goods association and CIEC-China International Center Group Company, 2018 China (Beijing) International Stationery and Office Supplies Fair (2018CISE Expo) opened at Jingan Pavilion, China International Exhibition Center. More than 350 well-known stationery and office supplies companies including Guangbo Group attended the exhibition. 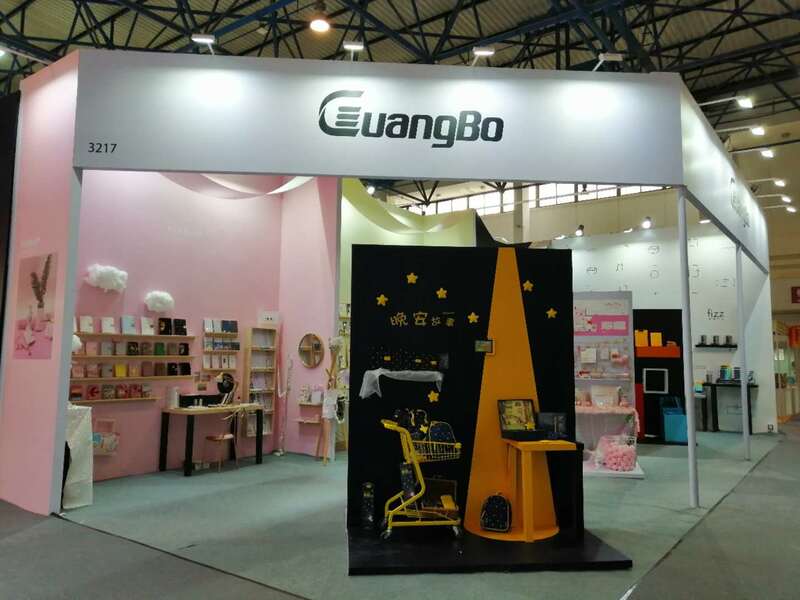 At this exhibition, Guangbo Group carries the trend of life stationery brand kinbor and fashion office stationery brand fizz stunning appearance. By integrating the most popular elements and latest design concepts, Guangbo has displayed to businessmen a series of theme stationery including the good night story, Hello Kitty and so on, as well as original design series hand accounts, various popular card packages and many other fashion stationery products. These products can meet the daily work needs of the office workers, but also can bring different trends to students' families, attracting the attention of many exhibitors. At this exhibition, the CISE prize was also awarded for the "creative innovation competition". Guangbo’s three products have been selected. Kinbor good evening stationery series won the student stationery design award. Fizz city series folder gets office product award. As the disseminator and professional manufacturer of the cultural industry, Guangbo has been committed to providing consumers with quality and refined products, making office learning more innovative and more cultural connotation. In recent years, based on innovation, Guangbo has broken through the constraints of traditional stationery in design and use. It has combined all kinds of popular elements and stationery, added fashion elements and personalized tags for ordinary office stationery. So that consumers "work no longer boring, learning is no longer boring." In the future, Guangbo will also continue to develop more creative and innovative stationery products, bringing fashion stationery to consumers. It is reported that the exhibition will last for 3 days. There will be tens of thousands of professional buyers from 30 countries and regions.